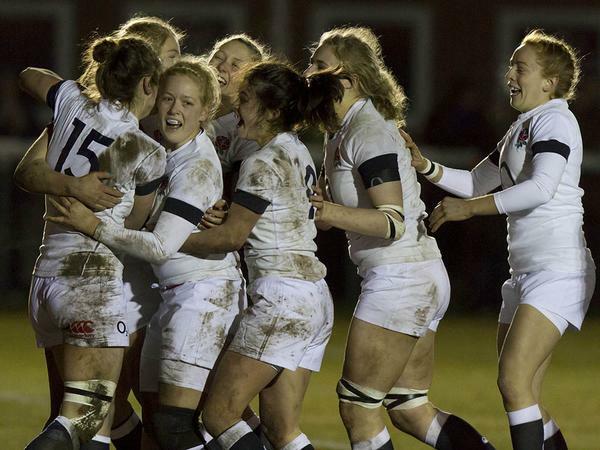 England Women Under 20s recorded their first win of the season with a convincing 25-10 victory over the Army on Tuesday night at Aldershot Army Rugby Stadium. 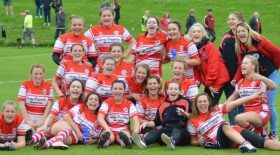 England, playing in their first of three fixtures this season and under the new guidance of former England captain Jo Yapp, ran in three tries on route to the win. England were disrupted early on with the loss of Matilda Vaughan-Fowler to injury and the Army made the most of this running in an 18th minute try courtesy of Cpl Jade Mullen who found some space on the right wing. England levelled the scores shortly after a well worked line-out, catch and drive saw the ball moved out into the midfield and a great attacking line from Rachel Lund saw her cut through the Army’s defence to score under the posts. Fly-half Sarah Nicholas converted and then added a penalty to take a 10-5 lead. The Army hit back with England paying the price for some missed tackles which saw fly-half Sgt Amy Robinson finding space and scoring on the left wing. Robinson couldn’t, however, convert her own try while a second Nicholas penalty handed England a 13-10 lead at half-time. After the restart, England further increased their lead with a great team try. Sweeping the run of play from the left to the right wing, replacement Devon Holt was tackled just short of the try line but Olivia Jones was in support to pick up and score. Nicholas was as consistent as ever with the boot to stretch England’s lead to 20-10. England then added their final try when replacement Amy Cokayne, with a pick and go, beat a defender and scored to make the final score 25-10. 15 Rachel Lund (Worcester, Yorkshire, Midlands), 14 Matilda Vaughan-Fowler (Bristol, South West), 13 Charlotte Holland (Bath, Devon, South West), 12 Emily Wood (Lichfield, Gloucestershire, South West), 11 Charlotte Clapp (Saracens, South East), 10 Sarah Nicholas (Lichfield, Staffordshire, Midlands), 9 Caity Mattinson (Darlington Mowden Park Sharks, Gloucestershire, North) C, 1 Abbie Parsons (Bristol, Berkshire, South West) VC, 2 Lark Davies (Worcester, North Midlands, Midlands), 3 Katie Trevarthen (Camp Hill, Notts, Lincs & Derby, Midlands), 4 Amy Wigley (Worcester, North Midlands, Midlands), 5 Olivia Jones (Bristol, Oxfordshire, South West), 6 Abigail Walker (Worcester, Gloucestershire, South West), 7 Sarah Bern (Esher, Surrey, South East, Hartpury College), 8 Sally Stott (Vale of Lune, Lancashire, North). 15. Cpl Carrie Roberts, 14. Cpl Jade Mullen, 13. OCdt Louise Dodd, 12. Sgt Sarah Mitchelson, 11. Bdr Bethan Dainton, 10. Sgt Amy Robinson, 9. Cpl Jane Leonard, 1 LCpl Sarah Batley, 2. Sgt Rae Metters, 3. Cpl Bianca Dawson , 4. Sgt Rosie Haigh, 5. Pte Ellie Gattlin,6. Lt Erica Mills, 7. Cpl Tara McGlade, 8. Lt Jade Binskin-Barnes. Replacements: 16. Maj Jenny Connell, 17. Maj Charlie Maxwell, 18. Capt Verity Skinner, 19. Lt Leah Thomson, 20. Pte Kayleigh Clemes, 21. Pte Heidi Silcox, 22. Cpl Lou Steer, 23. Bdr Katie Garside.